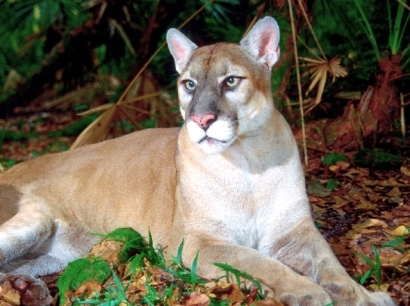 By Todd WrightHaven't politicians gambled enough with the possible extinction of the Florida Panther? Now, plans from the good-natured, gambling people of the Seminole Indian Tribe may strip away valuable wetlands and habitat that likely houses a few of the remaining big cats native to South Florida. The Seminoles want to destroy 200 acres of wetland on the Big Cypress Reservation in Broward to improve some dangerous stretches of road, according to the Sun-Sentinel. That same land has been known to be prowled by the mysterious and elusive panther. "The panther is getting squeezed," conservationist Matthew Schwartz told the Sun-Sentinel. "Each development may not be the final nail in the coffin, but it's the cumulative impact. "Comment: For more on the subject, see Seminoles Have Gaming "Disease."